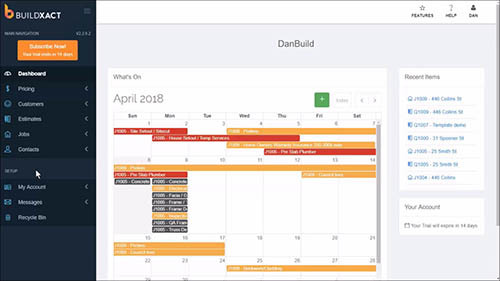 BuildXact - MD Trimmer & Co.
BuildXact provides easy online software for builders and trades in Australia, New Zealand and North America, so you can manage everything in one place. Simplify and reduce admin with one tool for your construction project needs from quote to completion. Remove the double handling of tasks between spreadsheets, paper and other tools, and free up hours in the day. You can even make purchases and send invoices in one click. Quickly produce professional quotes in half the time. Protect your margin with more accurate estimates based on your own price list or BuildXact’s. BuildXact connects to Xero, MYOB or QuickBooks so you get even more efficiency and control.